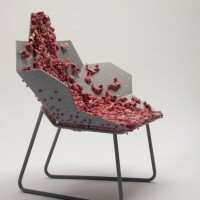 Danish textile and furniture designer Sofie Brünner has designed the Blush chair. 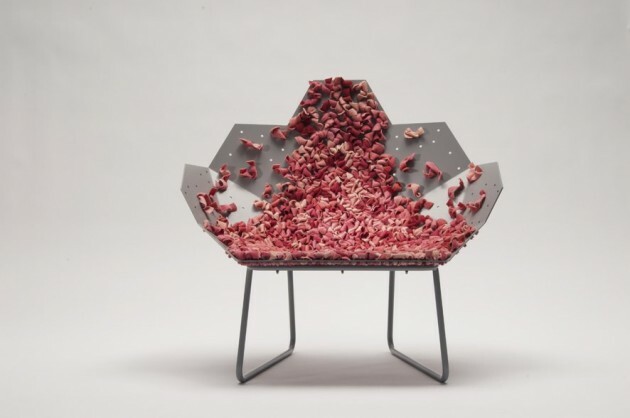 BLUSH is a unique lounge chair that aims at stimulating the senses. 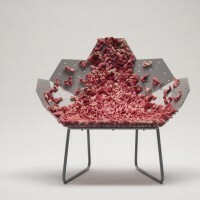 Working from the concept of haptic design (design that stimulate the sense of touch), BLUSH has a contrasting and playful appearance that invites the user to explore the materials, construction and comfortability. 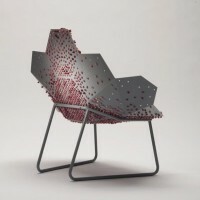 The chair consists of a faceted hard aluminium shell in which a perforated pattern has been laser-cut. Using a brush binding technique, the holes are upholstered with strips of hand printed felt. 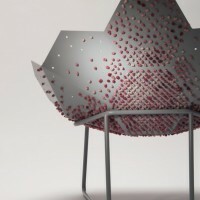 This results in a soft and tactile front upholstery and a pixel-like upholstered back. 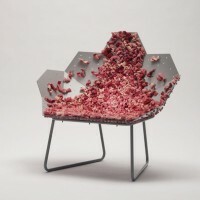 Overall BLUSH has a surprisingly austere expression that is softened by the blushing felt loops that flourish across the chair. 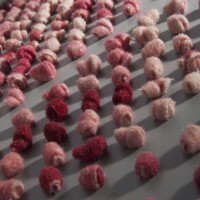 Visit Sofie Brünner’s website – here.